Right after our trip to The Bahamas, my husband and I were craving to travel again. 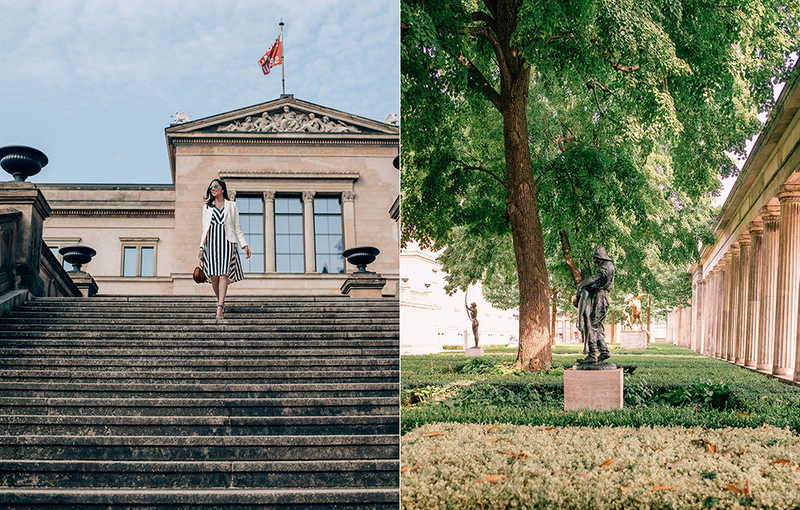 While we enjoyed spending eight days frolicking at various pools and working up a tan, we were craving a change in scenery for some culture, architecture and good food. Queue in the song ‘Heroes’ by David Bowie suddenly playing on the radio, we started making plans for Berlin. 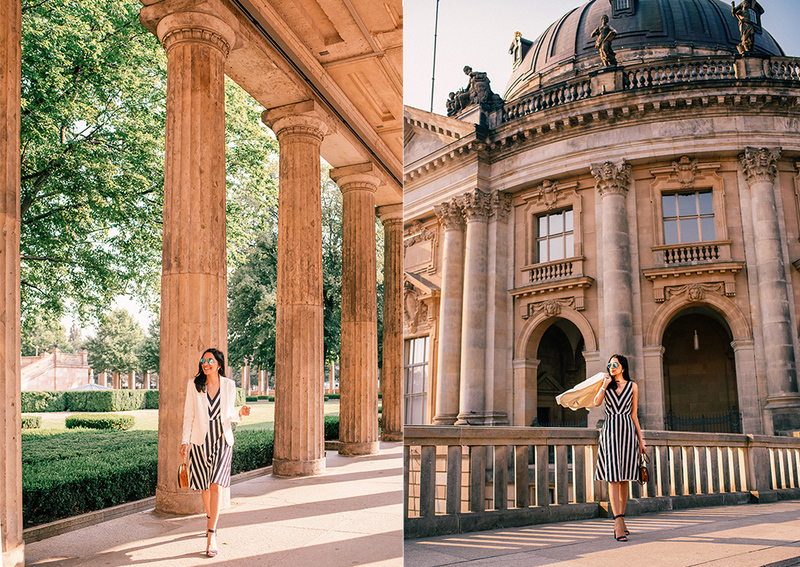 While three days seemed like a good enough time to explore the city and cover all the highlights that Berlin has to offer, we found we were not ready to leave the city so of course we made plans to spend one extra day in this beautiful city. 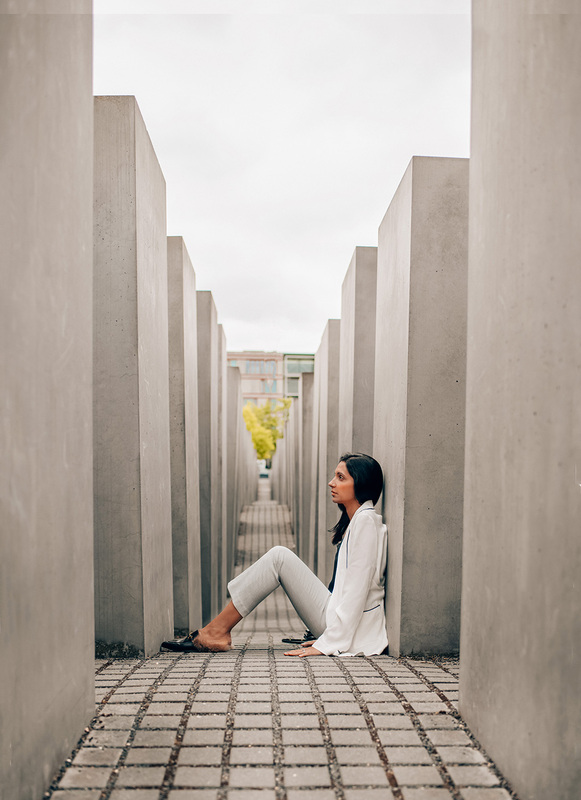 Unlike our previous trips, this was one city we didn’t join any tour groups because we wanted to explore Berlin at our own pace. I also wanted to take the opportunity to visit a few restaurants on the way to our next destination. 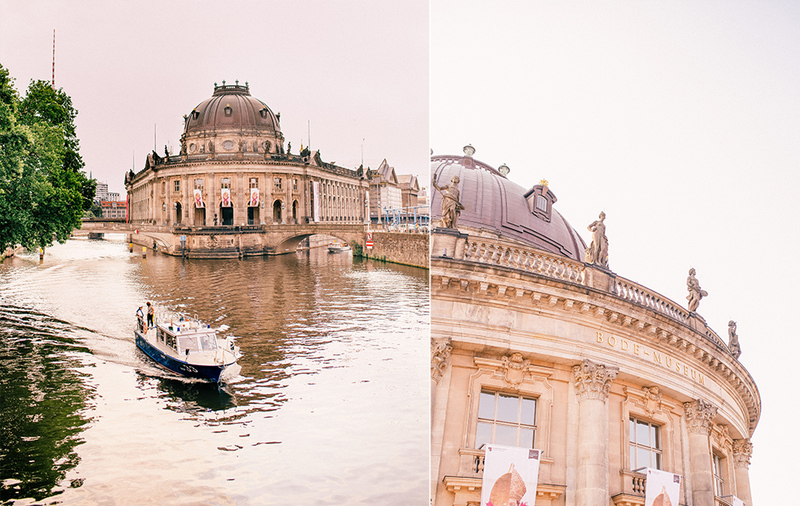 We spent a good portion of the first day exploring Museum Island, the northern half of a small island in the Spree river. 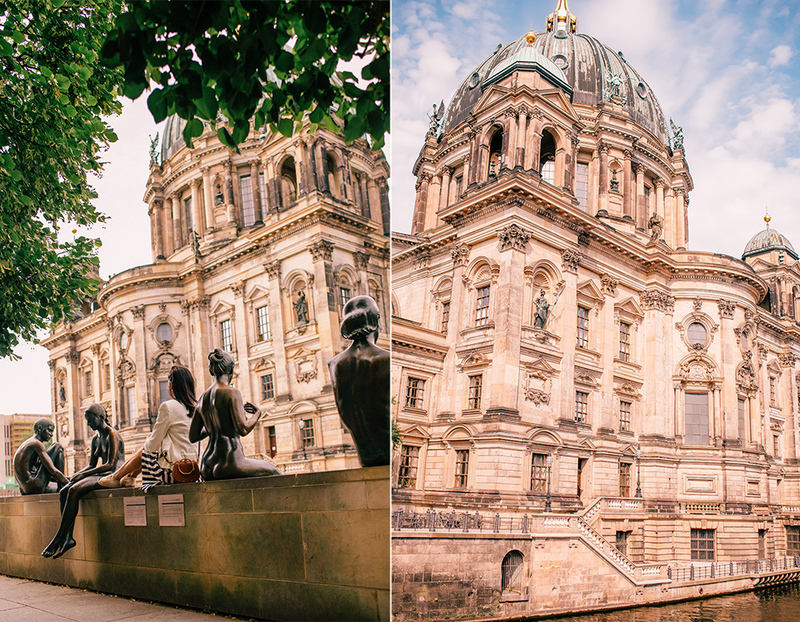 In this small island you will find Bode Museum, Pergamon Museum, Berlin Cathedral, Neues Museum and Altes Museum. These cluster of museums offer a comprehensive collection of Byzantine art and antiquities, Middle Eastern/Islamic art, alter and gates, and works from Egypt and Babylon for visitors. My favorite was the Pergamon Alter found in the Pergamon Museum. The final remains of the famous Berlin wall that divided this beautiful city in half and sparked a celebration on both side when it came down. A good portion of the wall is still up but instead of being greeted with harsh grey concrete slab that goes on forever, you will instead see a wall that is littered with beautiful messages about hope, friendship, kindness, and even a cute vehicle that I had to snap a picture of because my husband is a huge car fan. 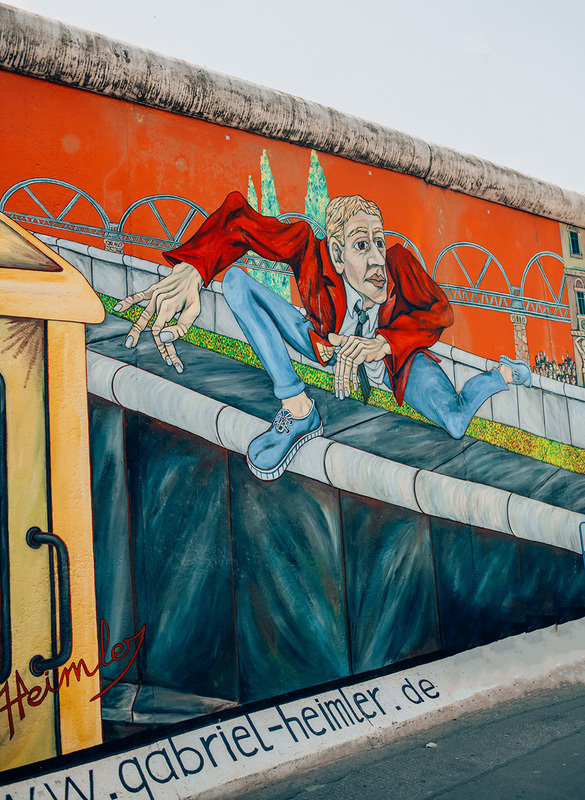 Other than the East Side Gallery, the Brandenburg Gate was one place I was very excited to visit from all the spy RPG (role playing games) I played as a kid, my favorite was Golgo 13 from my old Nintendo console. What the game didn’t capture was that the Brandenburg Gate is HUGE, far more intricate in detail and is surrounded by consulate buildings from various countries. Another element the game didn’t capture was that it would be under renovations when I decided to visit it. Out of all the places we went to visit in Berlin, my husband really wanted to see three hot spots and Checkpoint Charlie was one of them. This was one place he wanted to visit because he is a HUGE James Bond fan (we are talking massive!). Anyway, Checkpoint Charlie was the best and well known checkpoint that was used to cross between East and West Berlin during the Cold War. If you want to take a photograph here, come before 10am because the place will be covered with actors who won’t let you near the checkpoint unless you pay. SPOILER – The actual Checkpoint Charlie was broken down around 1990, and a new one was replaced as a part of the museum. 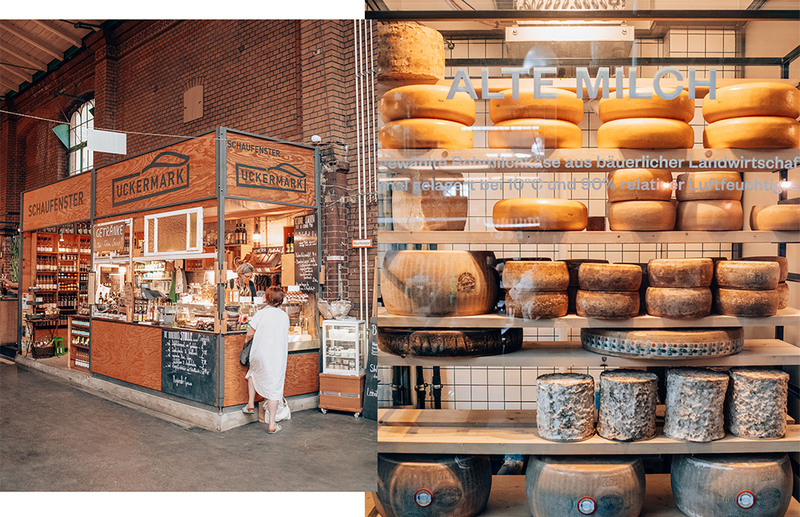 If you want to experience what a typical life is for a local, you need to head out to this beautiful indoor Market. All the vendors in this adorable market offer a wide variety of international foods and items, and if you want to come and pick up a gorgeous bouquet for photos – come early! Their flower vendor sells out super fast (we arrived that around 1:30pm and they were sold out). We arrived an hour after the market opened, and though we missed out on the flowers we did indulge in a some pretzels and lots of cheese! Unlike most monuments, this was one place I wanted to visit to gain perspective and quietly contemplate. I found the varying sizes of 2700 concrete slabs arranged in rows to be deeply moving and emotional. They say the feeling you walk away from roaming around the pathway is what you put in. Every time I walked down a pathway, I would see people emerge and quickly disappear. I think this was this image the artist was trying to convey on what happened in our history. 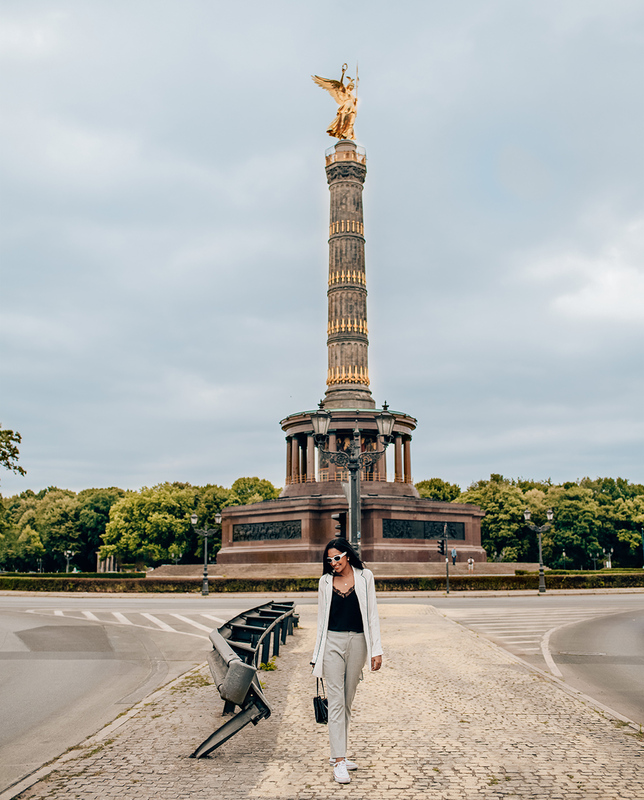 Another landmark to visit in Berlin is the Victory Column which is a popular roundabout in the city. This tower is deceptively tall. Visitors can climb the tower but we opted not to after we saw the previous folks who did huffing and puffing on their way out >_<. For 3 Euros, you can get up and see a beautiful view of the city but because we were pressed for time (we headed to the airport right after this), we opted to admire the monument from the streets. 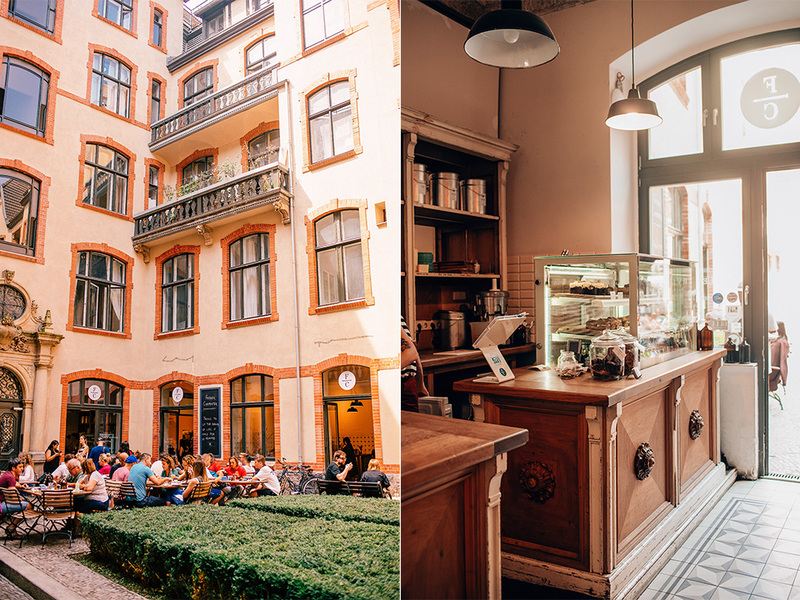 This adorable Coffee Shop is a gem in the heart of Berlin. We came by the night before to dine at it’s neighboring restaurant and I saw this cute coffee shop right by it with the most adorable entrance. The moment the doors swing open, you are greeted with a greenhouse atmosphere surrounded with the scent of fresh croissants. 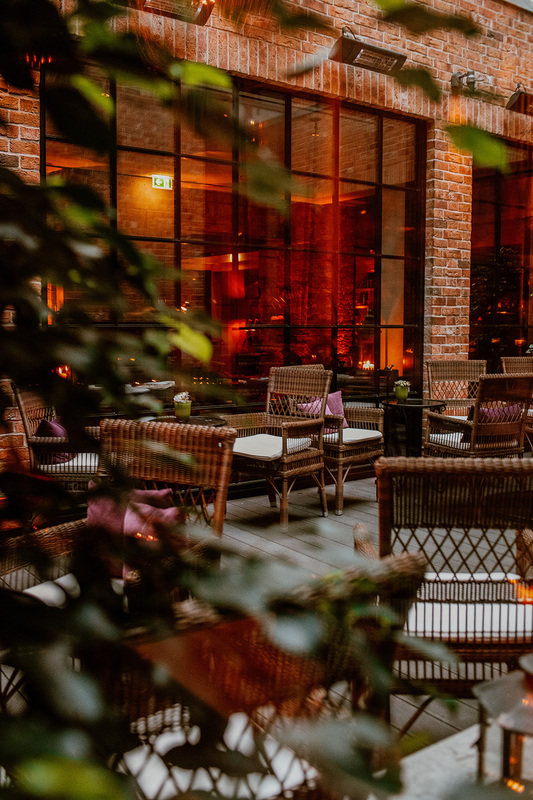 Father Carpenter is one of the busiest coffee and brunch spots in Berlin. 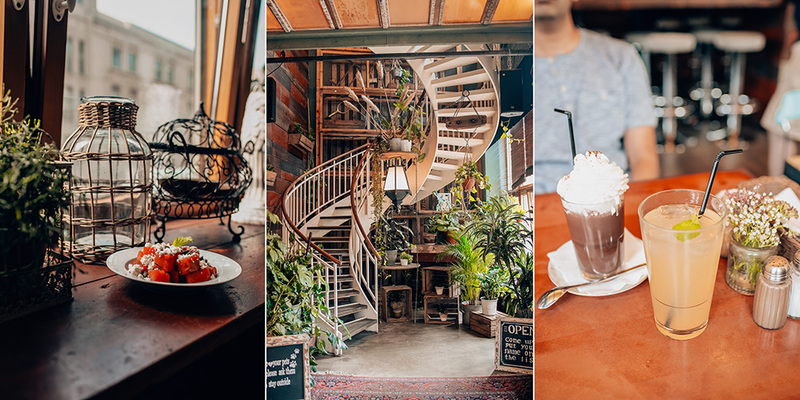 This little gem of a cafe is tucked at the corner of a courtyard hidden in an alley way where people are basically lured in with the scent of sweet lemon poppy seed muffins. And yes, the muffin tastes amazing! What tastes even better is their avocado sandwich (seriously, have seen a more photogenic avocado sandwich ever!?). This hidden oasis has the friendliest British and French staff (we hand an endless chat about their hometown, accents and my lack of ‘aye’ lol), great food and scenery. 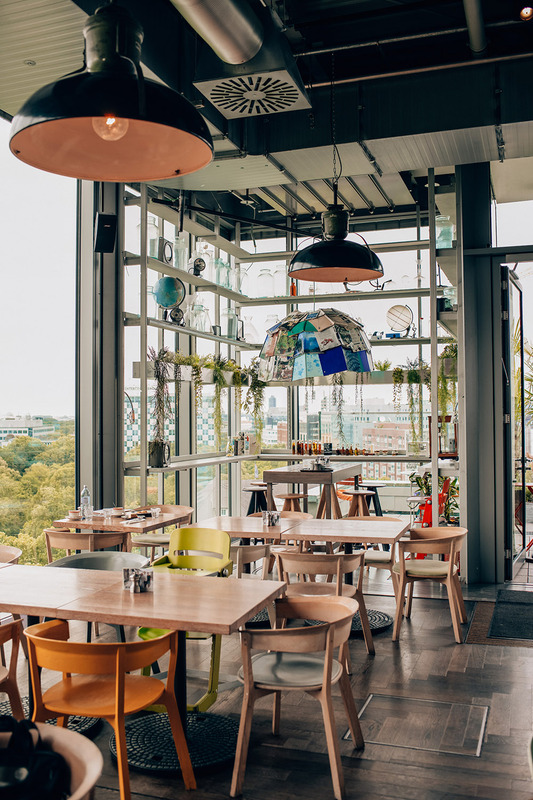 Neni is a trendy restaurant located at the top of the popular Bikini Berlin Hotel and offers a spectacular view of the Berlin Zoo (no admission required). 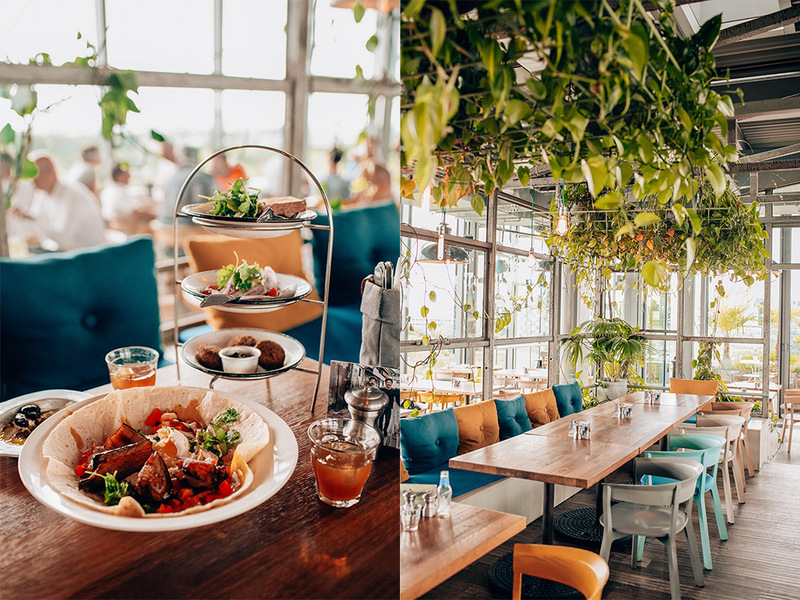 The decor perfectly reflects the food they serve – organic, fresh, and eclectic. 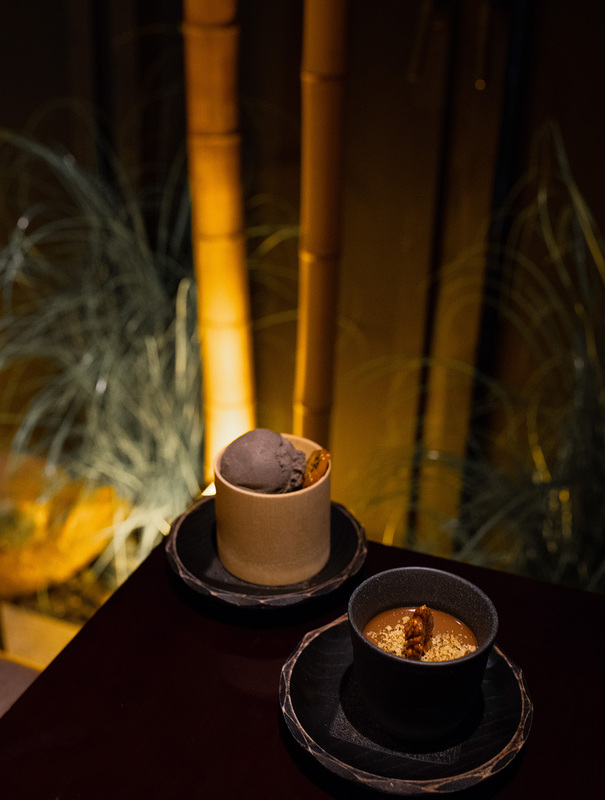 Everything they serve on the menu reflects the four brothers, and owners, philosophy – meals are to be served on a large table surrounded by people close to you, there is an openness and raw nature to their food, and everything that comes out of the kitchen was inspired by their love for food. 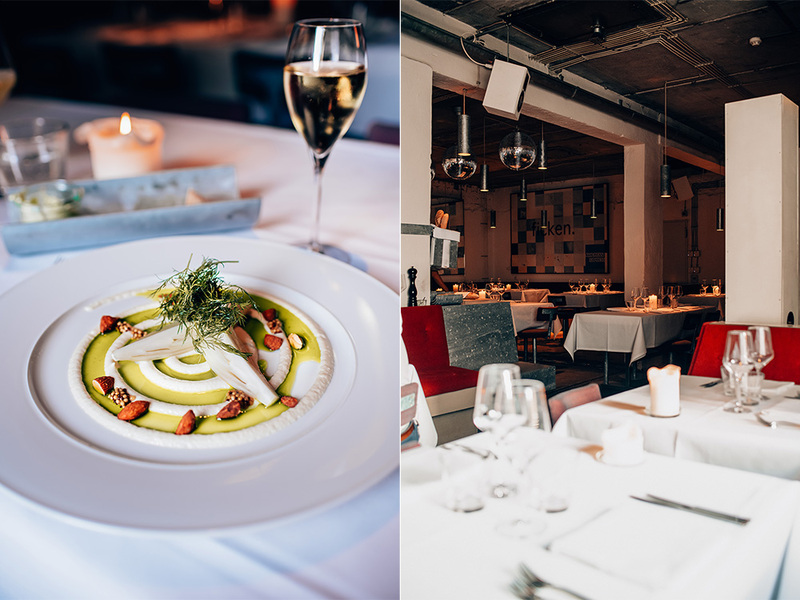 If you are looking for a perfect combination of Arabian, Israeli and European cuisine (and the tastiest falafel you will ever have), Neni is a must! Another hidden gem, literally, in Berlin is this sushi restaurant. This place was extremely difficult to find and 100% worth it! I instantly fell in love with the decor and the private booths. Then I was later blown away with how amazing the food was. 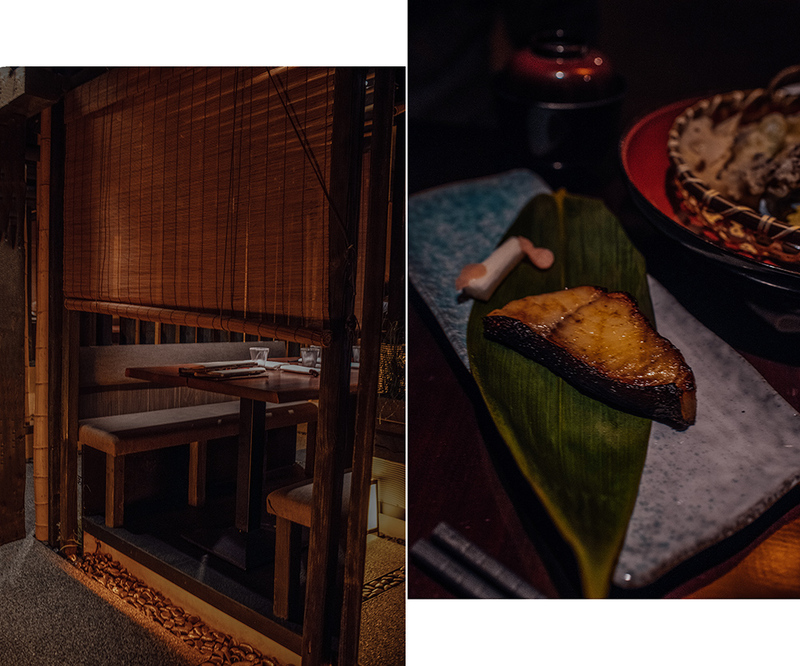 If you want fine dining that will not disappoint, and doesn’t require to dress up – Zenkichi is a must! We ordered their summer omakase (chef’s menu) which is an 8-course tasting menu and every item they served us was mind blowing amazing. My favorite was their miso glazed black cod (buttery and moist), chilled lobster, and sesame ice cream! I’m starting to sense that hidden gems are very common in Berlin and this one takes the crown jewel. If you followed my adventures in Berlin, you will remember this place was extremely difficult to find and it involved going down a dark alley that was incredibly scary! It came spider webs, abandoned carts and storage spaces that were long forgotten. At the end of the alley we were greeted with a wooden chandelier (their landmark to let their patrons know that they are at the right place) and found the entrance to a beautiful bar with a staircase that leads you to a minimalist decorated interior. 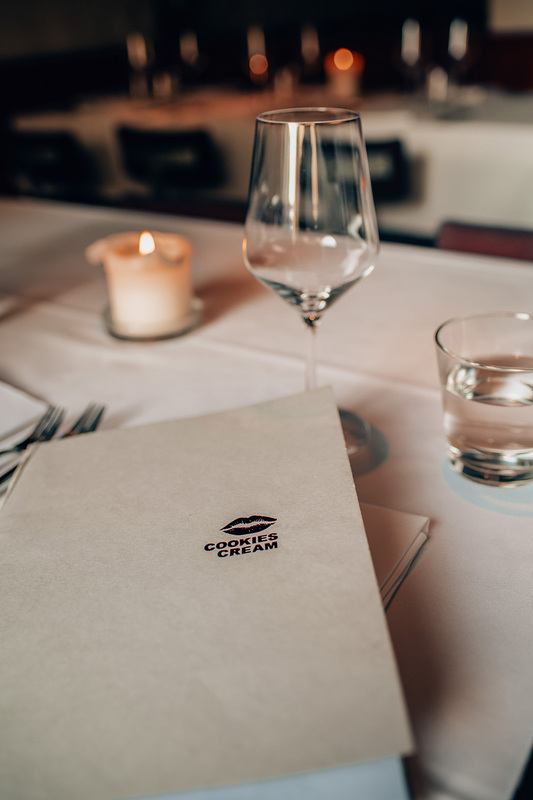 Cookies Cream is one of the few vegetarian restaurants I have visited and it is the best I have EVER had the pleasure to dine at. Everything they served was amazing and each plate or bowl they presented tasted better and better (a rare treat!). 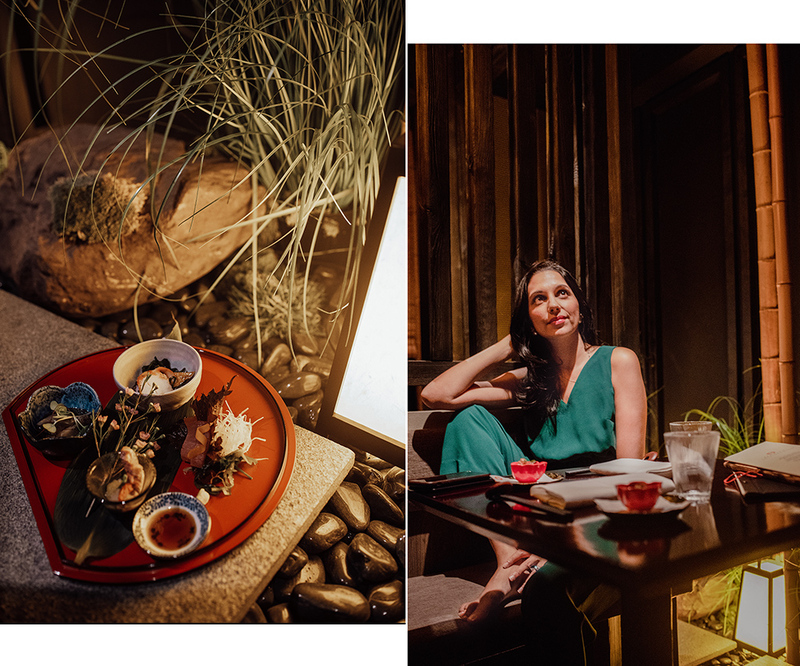 Writing this post, I am instantly craving their mushroom ravioli, meatloaf made out of eggplant, and their fish roe that’s actually made of seaweed! Another item I fell in love with was that they offered their guests non-alcoholic drink pairing (teetotalers rejoice!). 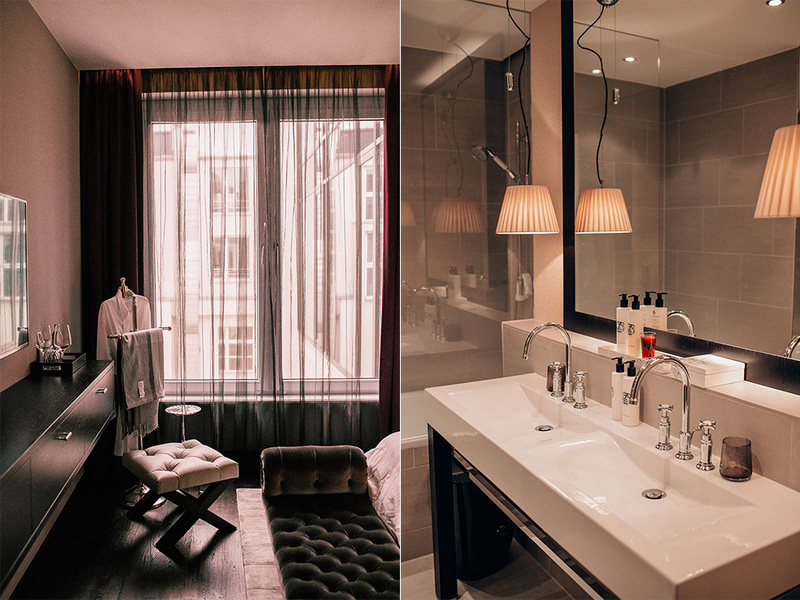 For accommodations, we stayed in the heart of Berlin at Hotel Zoo Berlin. This elegant hotel is located in a prime location (right in the Kurfurstendamn shopping center) and I fell head over heels in love with their fun art decor, large rooms, and how quiet it was late at night even though they had a party going on every night we were there (we arrived in the city during Berlin Fashion Week). Hotel Zoo Berlin has a cute little courtyard, mostly for their smoking guests, that I took advantage of a few times to give my feet a break from all the walking we did around the city. 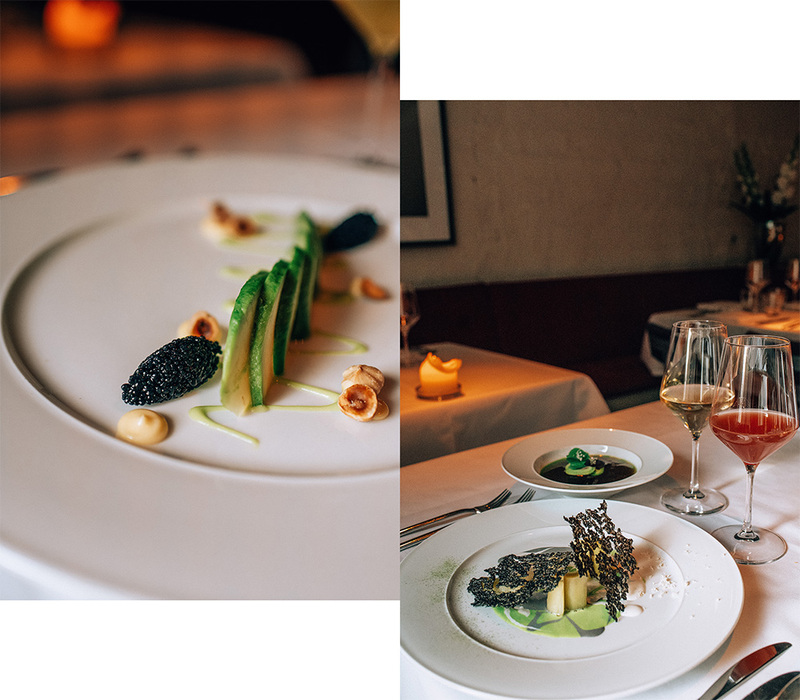 I already mentioned that the hotel has a rooftop bar that is the it place to hangout in the city, but they also have a beautiful restaurant that we sadly didn’t get a chance to dine at because they were booked solid for fashion week event and weddings. We did make a quick stop at their bar for a quick drink while I went over some photos I took in the city. If you are looking for a perfect place to stay in Berlin that’s close to everything, I highly recommend Hotel Zoo Berlin. What an amazing place to visit! I adore the architecture and your striped dress is so chic. Thank you so much for stopping by! 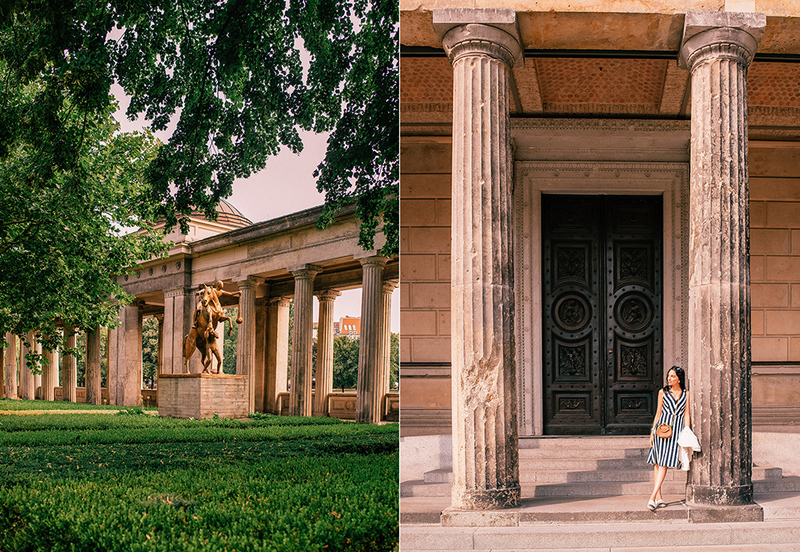 Berlin is a gorgeous city and the architecture is a beautiful mix of modern with hints of neo greek. You will adore the city! This post made me regret the fact that I’ve never visited Berlin, but on the bright side, when the moment comes and I finally get to see this beautiful city I will have all this knowledge to enjoy the experience. I hope it won’t take long for me to go there, because it looks breathtaking in your pictures. Thank you so much for sharing this! You really should get a chance to visit Berlin, the city is beautiful! The city has it all, beautiful architecture, history and amazing food! I can’t wait for you to go and share your experience. 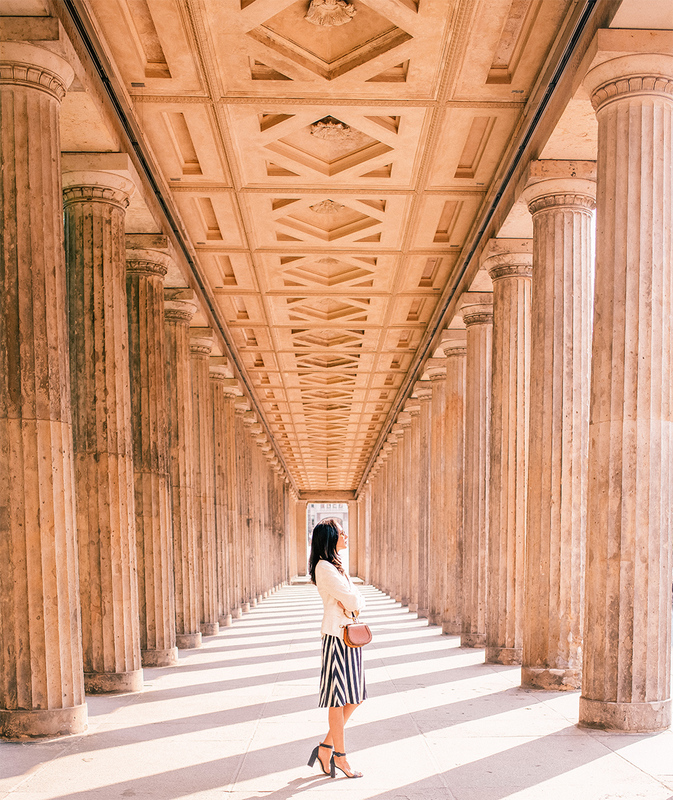 Berlin easily has one of the most breathtaking sights and architecture out there. Thanks for the lovely guide dear! So honoured to have you stop by my platform. I couldn’t have used a better word to describe the whole experience, dreamy is perfect! Even with all the renovations that was going on around my favorite monuments, it was dreamy and a place I would love to come back to very soon. Wow I never even considered visiting Berlin, but now you’re making me want to go! Amazing! Berlin looks incredibly beautiful! The architecture has me in awe! Love the photographs and your outfits, makes me wanna go to Berlin now! Berlin is on my list of places to visit. Your photos definitely making me eager. You look wonderful in the striped dress. The first time I heard avo toast is also big in Germany, nice to see pretty looking cafes in Berlin. I like travel blog post so much, happy to see your blog. The sceneries and the activities are different from Bahamas to Berlin. The structures, interiors and the food choices are massive. What a wonderful destination to visit.